The product quality and safety information have drawn extensive attention due to social impacts. Based on the transmission characteristics of the Web information, we constructed the information transmission models with government intervention and without government intervention based on complex network. Meanwhile, we analyzed the influence of government intervention on information transmission. Based on the BA network, we adopted the MATLAB tool to simulate the human relation model and utilized event information level, government information level, and possible panic population proportion as index to evaluate the government intervention effect. Our experimental results indicated that the intervention time, the government information platform, network connection characteristics, public inform will, and transmission will do have an intervention effect. We would like to acknowledge that this research is supported and funded by the National Science Foundation of China under Grant No.71301152, No.71271013 and No. 71132008, the National Science Foundation of Beijing under Grant No. 9142012, quality inspection project 552015G-4013, and the basic scientific research funding 552016Y-4700. Lu, Y. (2016). Industrial integration: a literature review. 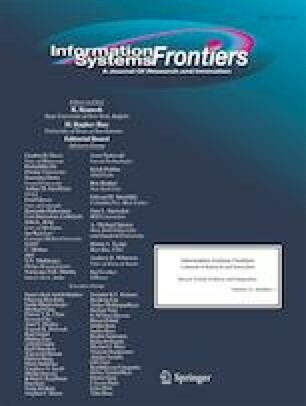 Journal of Industrial Integration and Management, 1(2). doi: 10.1142/S242486221650007X. Ye, S., Wu, F., (2010) Measuring message propagation and social influence on Twitter.com. Proceedings of the Second international conference on Social informatics. Laxenburg, Austria, 216–231.